I’ve written before about the increased risk for future cancer, if any, of diagnostic radiation (here , here, and here). These posts have generated a large number of comments and questions from parents. Most take the form of fear they have needlessly increased their child’s future cancer risk by agreeing to a CT scan. A new research study give us some important new information about that issue. There are a couple of important things to keep in mind. First, none of us can avoid radiation. It is all around us. It comes from the ground beneath us, in the form of radioactive elements in the earth and radon gas, and from outer space, in the form of cosmic radiation. Where we live affects the amount of this background radiation we receive. For example, higher altitude brings us closer to space (and to cosmic rays) and ground radiation varies from place to place. The result is that someone like me, who lives at over 7,000 feet elevation in the Rocky Mountain region, gets around 50% more background radiation than someone living on the East Coast. Another thing to keep in mind is that simple x-rays, like chest x-rays and those of arms and legs, carry very little radiation above background. A good way to think of it is that a typical chest x-ray has the same radiation as a couple of days of ordinary living at sea level, a bit more at the altitude where I live. A typical plane flight half-way across the country also has about the same excess radiation exposure as a chest x-ray. So these amounts are really trivial unless your child gets hundreds of x-rays. It is computed tomography studies — CT scans — that really matter when we consider this issue. There are many charts you can find comparing the radiation dose of various x-ray studies: here is a good one from the FDA. We have always assumed that CT scans, which deliver much more radiation than simple x-rays, likely increase cancer risk by some amount, although that amount was presumed to be tiny. A recent study from Australia, published in the prestigious British Medical Journal, gives us some specific information about that. The actual article is here, with a useful accompanying editorial discussing its importance here. The article is tough going for those not used to this sort of thing, but the editorial is quite readable for nonphysicians. What did the researchers find? 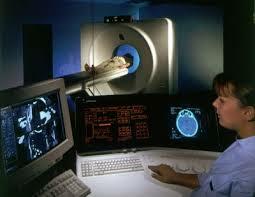 They found there was indeed a measurable increase in cancer risk following CT scans of the head. BUT — and this is an important but — the absolute number of increased cancers was extremely small. What does that mean for a parent whose child needs a CT scan? To decide that you need to consider the difference between population risk and personal risk. The researchers studied 10.9 million people who got 680,211 CT scans. Over a nearly 10 year follow-up period, about 60,000 cases of cancer occurred in the total group; the group with the CT scans had 25% more cancers. The overall estimate was that CT caused one excess cancer for every 4,000 cancer cases. So that is a measurable increase in population risk. The increased risk for an individual patient, though, was miniscule. Still, the risk was not zero. What this means for parents is what it has always meant: be reasonable and sensible. Everything we do in medicine carries risk, and this includes not doing something. If your child has a problem that a CT scan will help figure out, the question is this: what is the risk of doing the scan (which is not zero, but is exceedingly small) balanced against the risk of not getting the information the scan gives (which typically is significant). My bottom line is that this research gives us important information about population risk for CT scanning. But it really just reinforces what we have always known about every medical test: always balance risk against benefit, and never do a test for trivial reasons, such as curiosity. Be sensible, and be reasonable. Respect diagnostic radiation, but don’t have an irrational fear of it. Please keep in mind that a small but significant number of children are at 50% risk for adult-onset cancer syndromes. Some of these syndromes involve mismatch-repair problems. In these people, once a spontaneous mutation has occurred in a cell in a susceptible system, the person’s non-functional MMR proteins cannot repair the DNA in the spontaneously mutated cells. These cells may then proliferate, resulting in cancer. Typically these problems affect people in middle- and later-life. But any radiation exposure at all, at any time, is capable of triggering spontaneous mutations within cells. The overwhelming bias of ACMGG, ASHG, AAP, etc., is not to test children for adult-onset disorders. However, an argument could be made for expedited mutation testing in children whose familial mutations are known, in the setting of recent injury or acute disease, when the value of the proposed investigational rad studies is still equivocal. Another idea for these at-risk children is to consider MRI rather than CT. Here is the way to think about this. Yes, there is radiation for an upper GI and barium swallow. It nearly always is less than a CT scan, though. But, and this is an important but, if they did not do the study you would not know if your child had a vascular ring. That is important to know, because an undiagnosed vascular ring is a big problem. So you have to weigh the risk of the radiation, which is low (but not zero) against the risk of not knowing if a ring were present, which would be much, much higher. There are no freebies in medicine. Doing tests has risks. Very often not doing tests carries risk, too. You need to balance the one against the other.